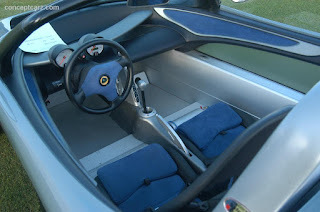 The "Show or Display" application for the 2000 Lotus 340R was not approved. 340 total cars made, but obviously not technologically significant enough for the NHTSA. No roof, no doors, more or less a track car for the street. 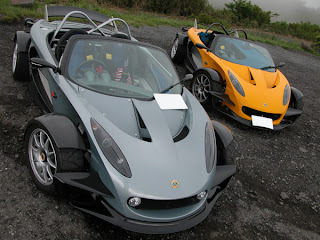 Not enough to differentiate it from a normal Lotus Elise. This car would have also been tough because of the Rover engine. It would have to been EPA certified. Perhaps the "Show or Display" application said that the engine was going to be swapped for a Toyota engine like the 111R or US approved Lotus Elise. " If the original engine in the vehicle will be replaced with a non-original engine to meet EPA requirements, it must be identified in your application since it may impact on the technological or historical significance of the vehicle." "The 340R is a special edition of the Lotus Elise. Just 340 were built, and all were sold before they were manufactured. It uses a custom built bodyshell with no roof or doors. All cars came with a silver and black colour scheme. Special A038R tyres were developed for the 340R in collaboration with Yokohama. While road-legal in the UK, most of the surviving cars are used for racing, track use, or demonstrations"